Show everyone your love for the great outdoors with this rug. When guests step in your home, they will not know what has hit them when it looks like they have stepped on a real bear. 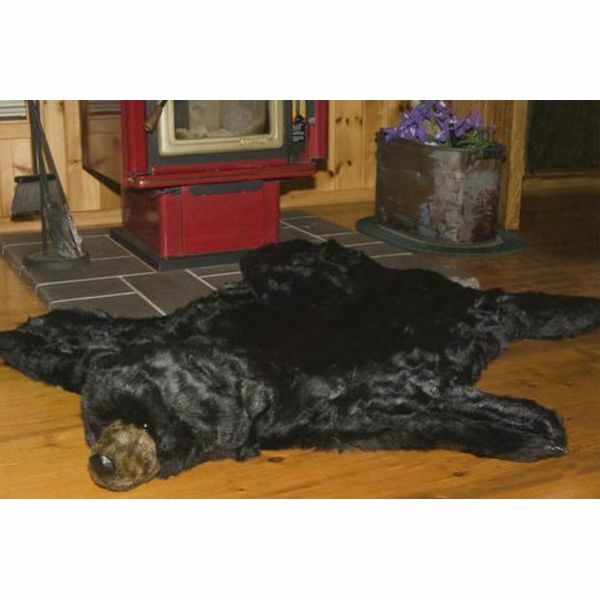 Faux fur is used to construct the surface area of the rug, but a real head with taxidermy eye, teeth and a tongue give this bear rug a stunning appearance. 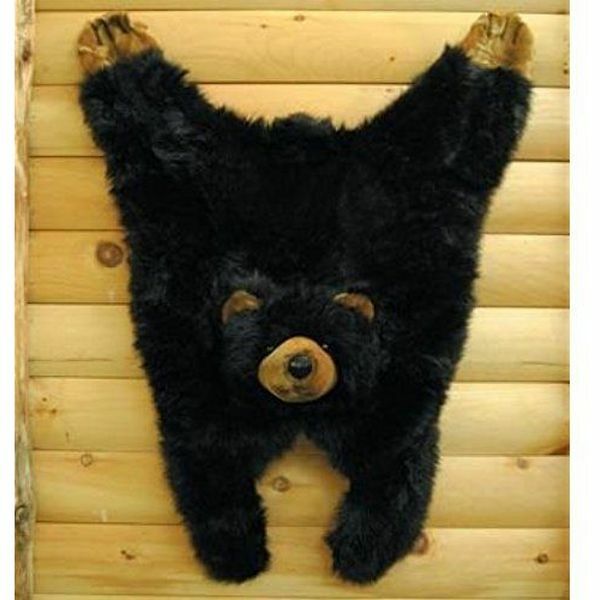 If you want to really get the most bang for your buck, you can even detach the head, display it on the wall, and tell your friends about how you caught the bear you really just purchased as part of the rug. Weighs 1 lb., 5 oz. Maybe you liked the first rug, but you were afraid of scaring your little one. In this case, here is a rug that looks fairly similar, but the bear has much more of a teddy bear-like appearance, which will be softer on your young one’s eyes. The rug is filled with 100% polyester, which gives it a high level or durability, yet it is as soft as fur. Additionally, a non-skid backing is included, so this bear of a rug is not going anywhere. The surface is also extremely easy to wash, so you can have a spotless rug year-round without paying the hefty price. Although it does not include the head like the brown bear and cute plush bear rugs do, this would still be a great option for you outdoorsy folks. While the surface is constructed from faux fur, you and your guests will be left to debate whether it is actually faux because of how texturized it feels. It features a mixture of brown, white and black colors, which give it the authentic grizzly look without detracting from the appearance of other furniture in your home. The rug is hypoallergenic, and it is machine washable, which makes maintenance a thought-free task. 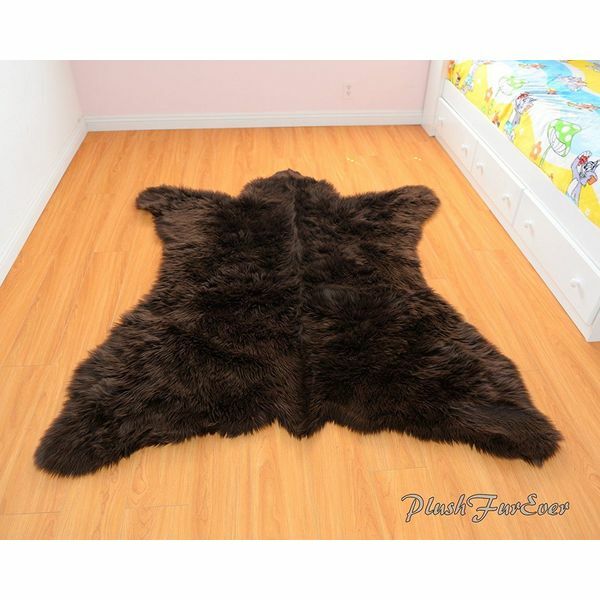 All of the luxury of a bearskin rug can be yours without the heavy price tag when you acquire this Faux Fur Rug Bearskin Brown Grizzly Accent Area Shaggy Rug. The rug features the shape and style of a bearskin rug with the shaggy, soft fur-like feel you love. 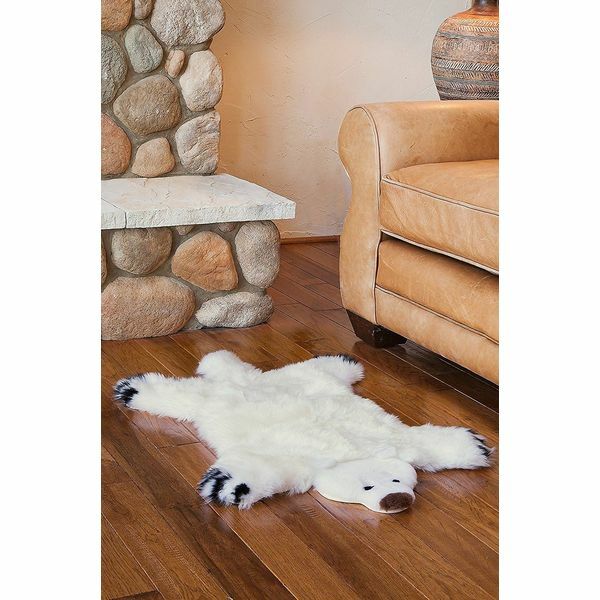 Put a cute twist on classic bearskin rugs with this Overland Teddy Bear Australian Sheepskin Rug. The rug is made from soft sheepskin and is crafted to look like a teddy bear instead of an actual bear. The design measures 23 inches by 38 inches in size. 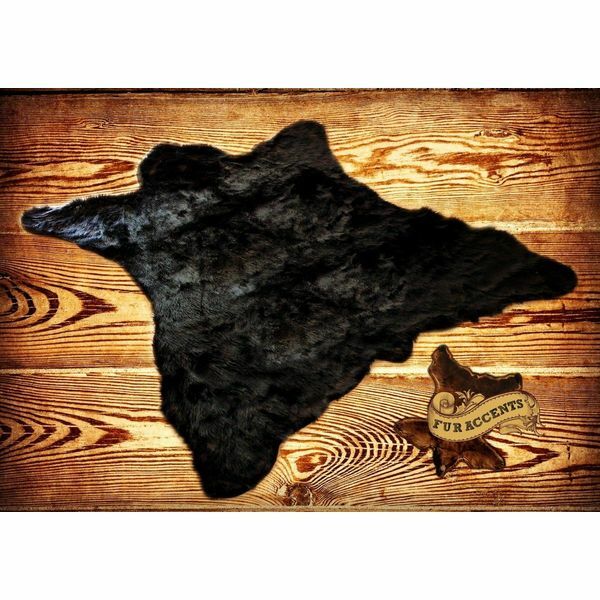 Perfect for warming up your cabin or just a traditional living room, the Rug Empire Rustic Lodge Bear Cubs Area Rug is an ornate rug that speaks to your love of the great outdoors. 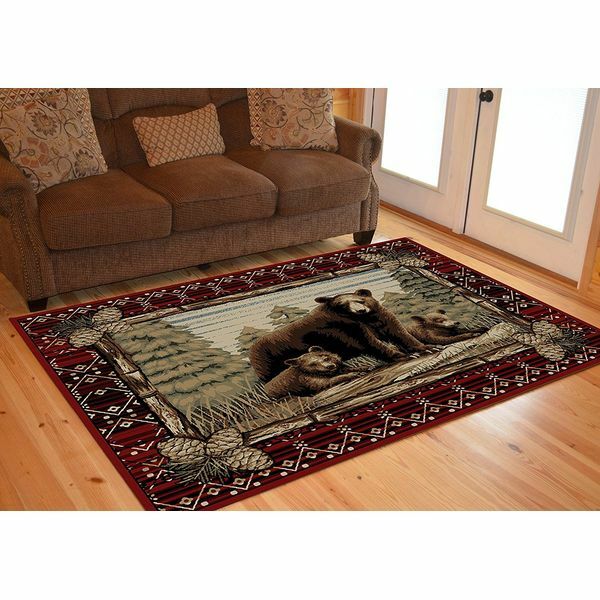 The rug features a scene with a bear and her cubs against a natural backdrop.